After all, you may have read our British Pie Week article and know that in British Pie Week 2013 we ate 50 pies between the three of us and in British Pie Week 2014 we went even further and ate 55 pies - including making and trying a Python pie! And we added even more to that number last year by eating 71 pies between us! Not everyone is quite that pie-crazy!!! 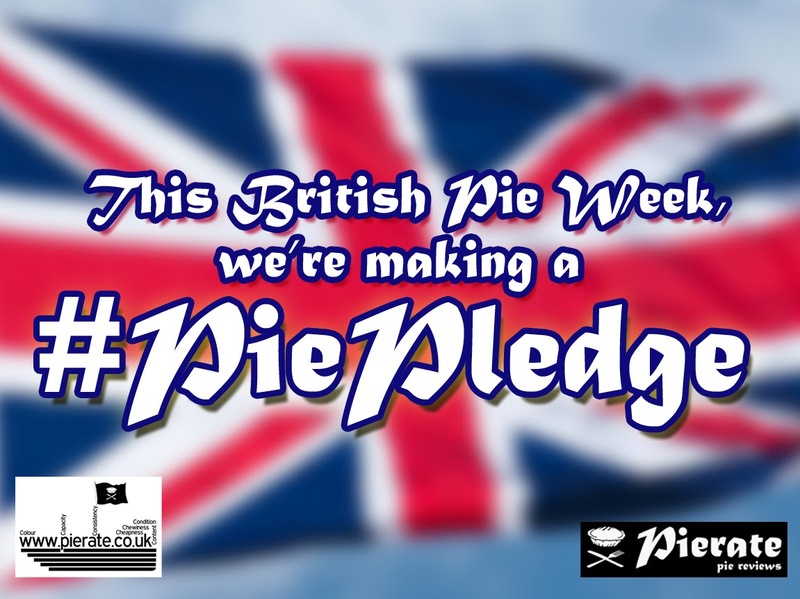 In British Pie Week 2013 we introduced the #PiePledge as a way for pie eaters or pie makers to make pledges either before or during British Pie Week about what they are going to commit to do regarding pie. Then in 2014 we got others involved in making a #PiePledge too! And with British Pie Week coming up soon, what better thing than make your #PiePledge ready for British Pie Week? Find out what the Pierateers commit to do during British Pie Week and how they get on by following the #PiePledge hashtag on Twitter this year! - #PiePledge to increase the number of pie-motions in British Pie Week to boost pie sales even further! We hope we’ve provided some ins-pie-ration for your #PiePledge. You can tweet your #PiePledge to @pierateers or leave a comment below - but more than anything, enjoy your pies in British Pie Week! BREAKING NEWS: Pierateer TJP has just announced his British Pie Week 2016 #PiePledge, eating 7 pies for 7 days = 49 pies! Ok @pierateers, I'm ready to make my #BritishPieWeek #PiePledge - I'm going to attempt to bake a Great British Pierate Ship! As well as taking the whole of British Pie Week off work and judging at the British Pie Awards, Pierateer RAS has commited to travelling to Wales and Scotland to rate some pies, and the plane has been booked for his flight back from Scotland so he can have "Pie In The Sky"! But not any pie - he'll be picking up the Scotch Pie World Champion from Kandy Bar!